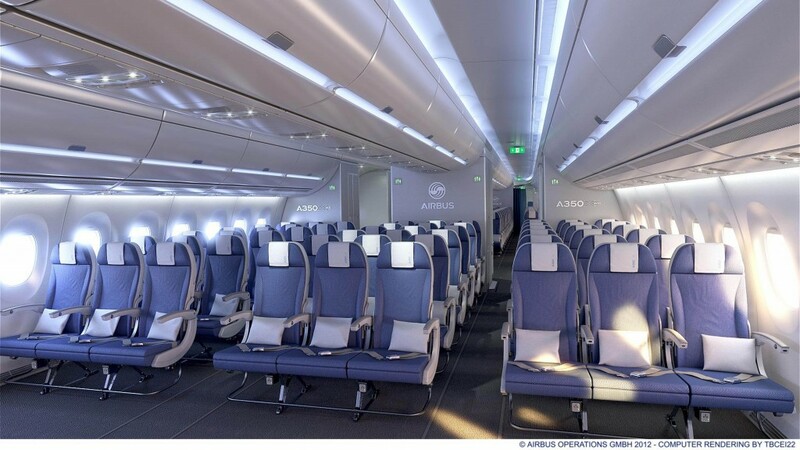 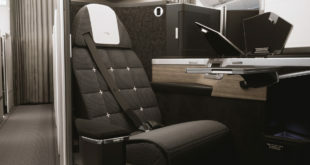 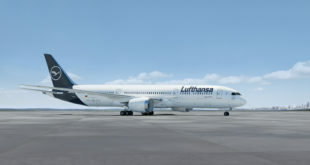 In a counter to the 17 inch economy class seat widths offered in the 10 abreast seating on many Boeing 777s and nine abreast on most Boeing 787s, the Airbus interior focusses on the A350 XWB (eXtra wide body) offering nine abreast seating at 18 inches seat width. 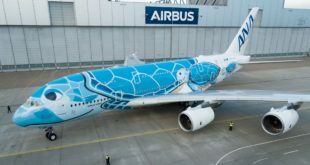 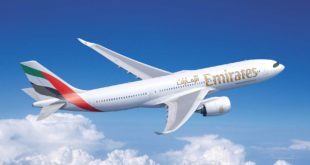 MSN002 will conduct a series of “Early Long Flights” with real passengers, including ‘hot and cold’ cabin trials to validate the advanced fourth-generation in-flight-entertainment (IFE) system. 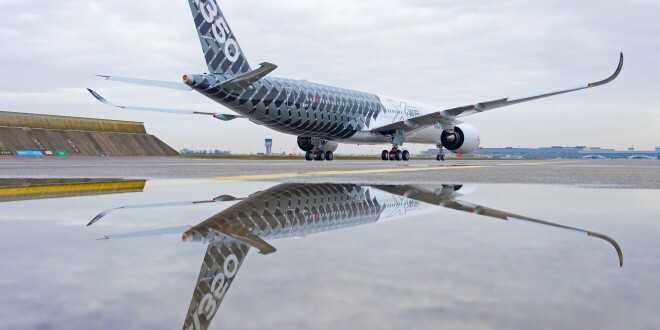 Another A350 XWB, MSN005 will soon join the flight test program, and will fly to major destinations the A350 is expected to serve on route-proving flights. 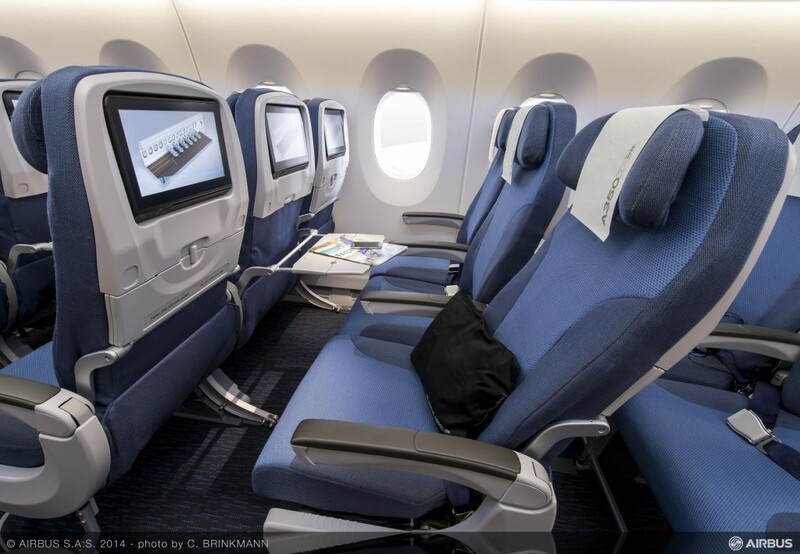 Airbus A350 sample economy class seat with recline. 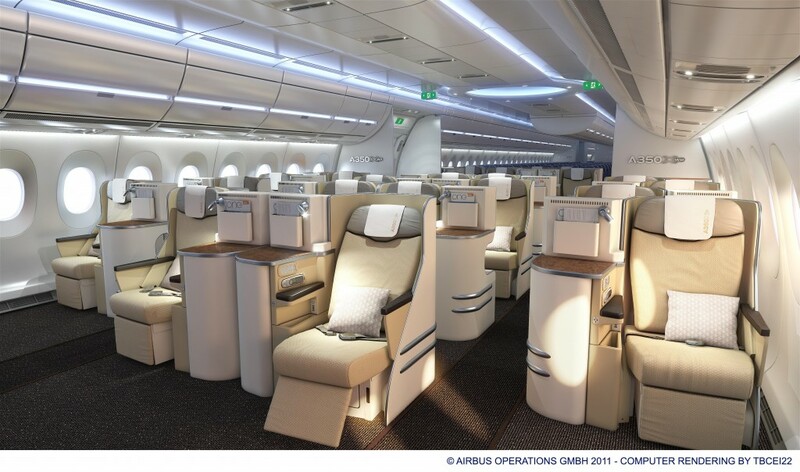 Airbus A350 sample business class cabin wide configuration. 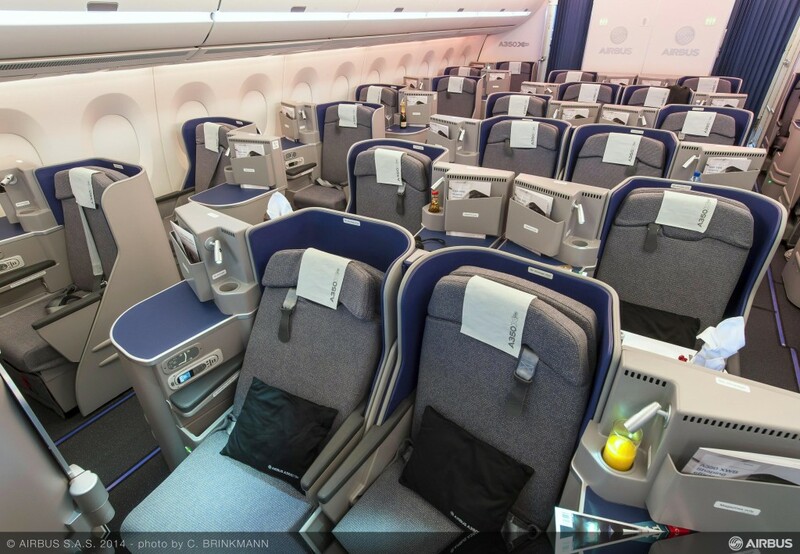 Airbus A350 sample business class cabin IFE view. 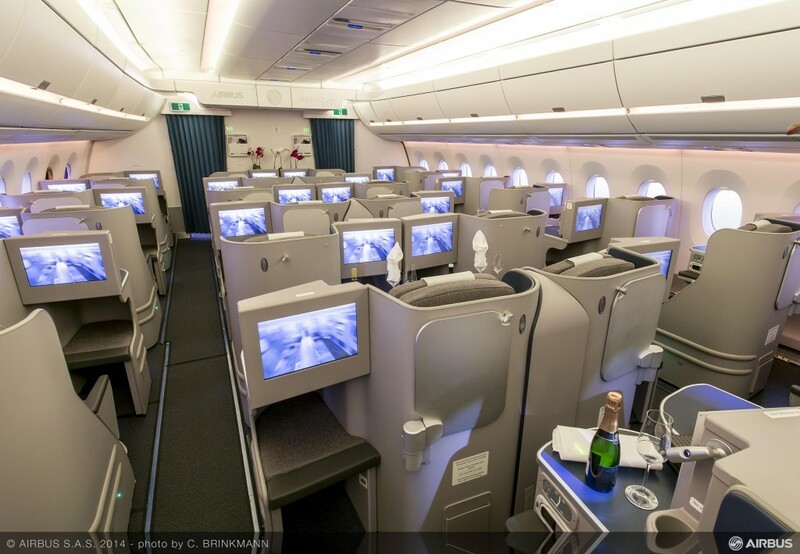 Airbus A350 sample business class cabin.